Ultra Plumping Hydration mask is a powerful 3 in 1 rejuvenation treatment that boats both rapid results and long lasting effects in erasing the signs of aging. In 30 minutes experience a totally new type of glow with our innovative formula of organic, natural ingredients which, one: flood skin cells with essential moisture, two: detox everyday cellular wear and tear, and three: increase collagen production, for totally nourished, firm, even­toned skin. ● INTENSE HYDRATION: Moisture is absolutely essential to glowing, younger looking skin. Valentia’s Ultra Pumping mask is formulated using natural ingredients that permeate profoundly, to moisturize on both a surface and cellular level and immediately rescue skin from dry dullness. ● COMBATS SIGNS OF AGING: Wrinkles, fine lines, dark spots and dryness are the most common manifestations of skin fatigue. 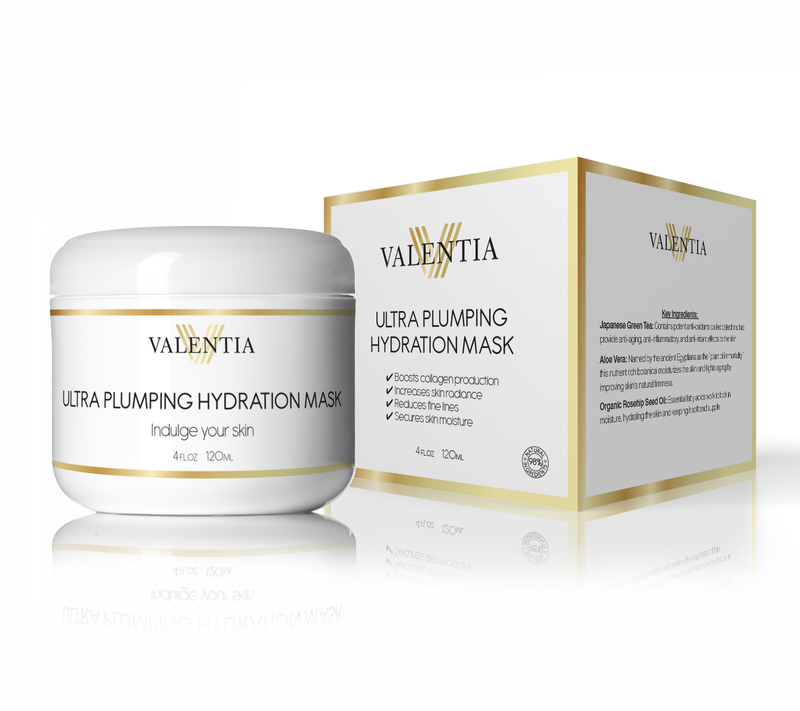 Valentia Ultra Pumping Hydration Mask contains a miraculous Silk Protein Amino Acid blend, which increases the skin’s production of collagen, the molecule that is fundamental in reducing fine lines and wrinkles. The Botanical Hyaluronic Acid, Vitamin E, and CoQ10 further improve elasticity for more taut skin and an even skin tone free from dark spots. ● NATURALLY NOURISHING INGREDIENTS: The highly concentrated Organic Rosehip Seed Oil is nature’s most powerful tool to lock in moisture for a 24 hour glow. Combined with a unique blend of amino acids and potent antioxidants, like Japanese Green tea and Aloe Vera, to reduce fine lines, increase collagen production, and fight natural skin irritants. ● GLOWING RADIANCE: Valentia’s exclusive ingredients are meticulously selected from the highest quality, organic, all natural, resources for their individual medicinal values and also for their powerful combined and cumulative effects together. ● ORGANIC SEA BUCKTHORN OIL: An anti­aging wonder berry that does it all: fewer fine lines, diminished sunspots, more even skin tone, and firmer, more supple skin. Organic Sea Buckthorn Oil is one of the main ingredients in Ultra Pumping Hydration Mask for it’s unprecedented results. ● IN HOME SPA TREATMENT: Lifelong exposure to toxins and free radicals seems like a giant battle for your skin to conquer. Valentia offers an at home rescue opportunity to nourish delicate facial skin with nature’s most restorative ingredients. I love Valentia. This was the first product I reviewed over 1 1/2 ago. I loved the serum. And recently I reviewed the eye serum. The products are luxury. You feel them work on your skin immediately. And I have been gone for the holidays. Did'nt do a treatment,facial or micro on my face at all. 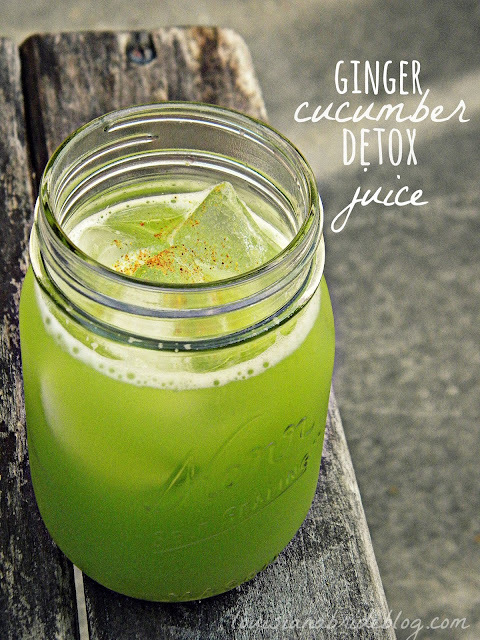 And now I am detoxing inside out to feel great and to help me on my path of fixing my thyroid. So telling you my life story, haha! This mask is beautiful. It smells amazing. No harsh ingredients and no parabens. Has some beautiful and favorite ingredients like the rosehip and the buckthorn. I have been using it 2x a week. And plan on it for the rest of this month. I love how you have such a glow. And I can trust this company with coming out with some of the best products. I give this a beauty 10.